Xiaomi Redmi Note-5 smartphone was launched on 2018 February. This mobile comes in the market after Redmi Note-4, this was also a good smartphone. Redmi Note-4 was the top seller mobile for Xiaomi. 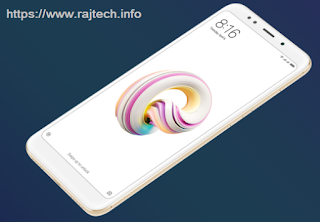 Redmi Note- 5 one of the best budgets smartphone. Mi Note-5 comes with the 5.99 inches IPS LCD capacitive touchscreen which has 1080*2160 pixels resolution & also a multi-touch screen. Mi Note 5 is powered by 2GHz octa-core processor, this mobile comes with 4GB and 3GB of RAM & 64GB and 32GB of internal storage. Users can use external storage up to 128GB (microSD). MicroSD use on Hybrid SIM slot. Note 5 comes with 12 Megapixel primary camera on the rear side and 5 Megapixel camera for taking selfie picture. Video from the primary camera is 2130 pixels & Secondary camera is 1080 pixels. Full Specification of Xiaomi Mi A1 With Price. Full Specification of Google Pixel-2 With Price. - Li-Po 4000 mAh Non-removable. - Sound- 3.5mm Jack, with Active noise cancellation with dedicated mic.